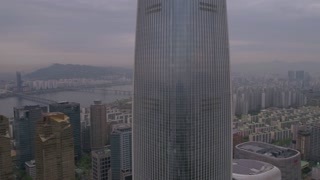 Editorial, Lotte Group logo on glass building. 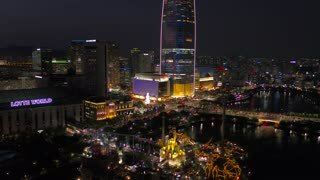 SEOUL, SOUTH KOREA - DECEMBER 5, 2018 : Time lapse of Seoul City and Lotte Tower in Seoul South korea. 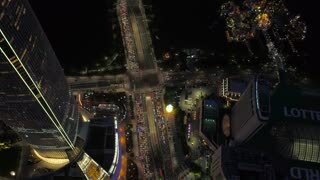 SLOW MOTION: Bird's eye view of a vibrant Helipad, then slow tilt up to the vast cityscape. 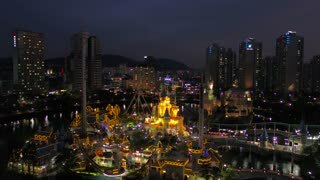 Showing the distinctly modern asian city that Seoul is, displaying the famous Han River in all it's glory! 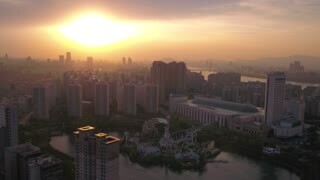 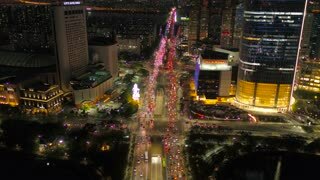 SLOW MOTION: Aerial drone shot of Seoul's vibrant, captivating cityscape! 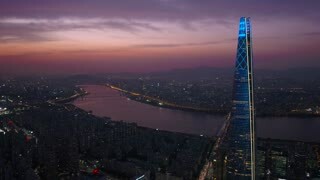 Containing the famous Han River and Lotte Tower as well as a colorful helipad. 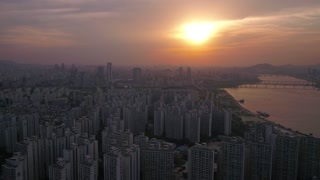 The best urban bird's eye view in South Korea. 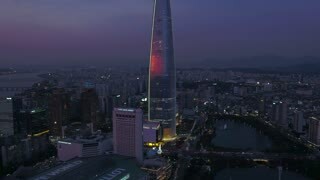 Slow motion Korean Flag blows in the wind as the camera pans up the Lotte tower in Seoul, South Korea. 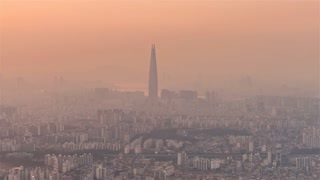 Time lapse of Seoul City and Lotte Tower in Seoul South korea. 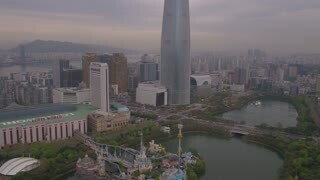 Inside Of Lotte World Mall In Seoul, Korea.